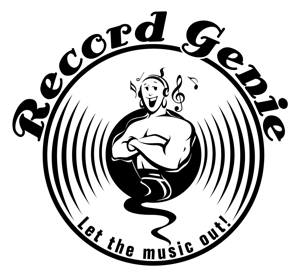 Record Genie has Boston area partner stores where you can leave records for cleaning, and I will pick them up, then drop them off back at the store after cleaning, usually takes 2 to 4 weeks, depending on volume. Not local? Don't worry, send your records affordably By Mail to get them cleaned. I have special packaging to make it easy! In addition to the stores below, you can now personally deliver your records to the UPS Store which is my business address, and where customers from all over the USA send their records to. It's a drop off only location (no payments) but may be convenient for customers living near Natick, or passing by during UPS Store hours. Your records MUST be packaged properly (as if posting them) and addressed to me as above. Put your name, address, phone/email on the package. Please contact me before dropping off, to arrange how to return your records after cleaning. I can bring them to a record show, store visit, or send them by USPS Media Mail etc. I'm trying this out, so please let me know here. Fantastic audio and video store that has great gear but is not pretentious! Talk to owners John Rein and Mark Terletzky, they both love music and understand that's what it's all about! Find me cleaning at AV-Therapy on Saturday and Sunday afternoons, once or twice a month, see Events. Great name for this record store in Lowell that opened in October 2013. It's well organized in a cozy space, with a great selection of mostly vintage vinyl, and is family owned by the father & son team of Dave & Dan Perry. The indoor shopping arcade at converted old "Mill No. 5" is a great place to visit, especially when they have a special event running there! But I don't live near these stores!? Other Boston area stores? How about your favorite store? If you're in the Boston and suburbs area and would like to see Record Genie services offered through your local hi-fi or record store, then please ask them to contact me! I talked to many local stores when I first started Record Genie, but sometimes it takes the power of customers asking for something for store owners to understand it's a good idea! So talk to your store owner/manager and tell them you want Record Genie! You can also let me know about your favorite store here! Do you own or manage a hi-fi or record store? Please check Testimonials and our Facebook page to read comments about Record Genie, and follow an ongoing customer debate - Which ultrasonic record cleaner is the best?! Offering the best service means listening to what customers need and want. How can the Record Genie customer experience be improved? Either let me know on Facebook, or send comments or suggestions to me here please.